When it comes to automobiles, there's something particular about the Italians and the way they do things. Compared to the rest of the world, somehow, the product of italian automotive passion seems inherently richer. There's a touch of something more - often inexplicable - that stems from the land of the prancing horse. While that can be said of Italy's cars, even the ones of the non-supercar variety, it can also be said of the parts and pieces that make them. 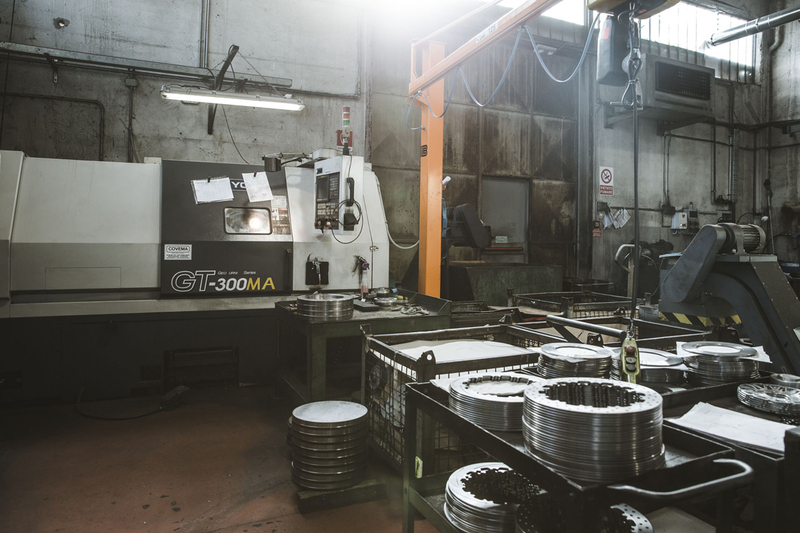 Nestled in Osnago, just outside of Milan near the iconic Autodromo di Monza - the world famous Formula One circuit - is TAROX Brakes, and as you might guess, they too abide by the Italian philosophy that breeds motorsports and automotive parts unlike anywhere else in the world. 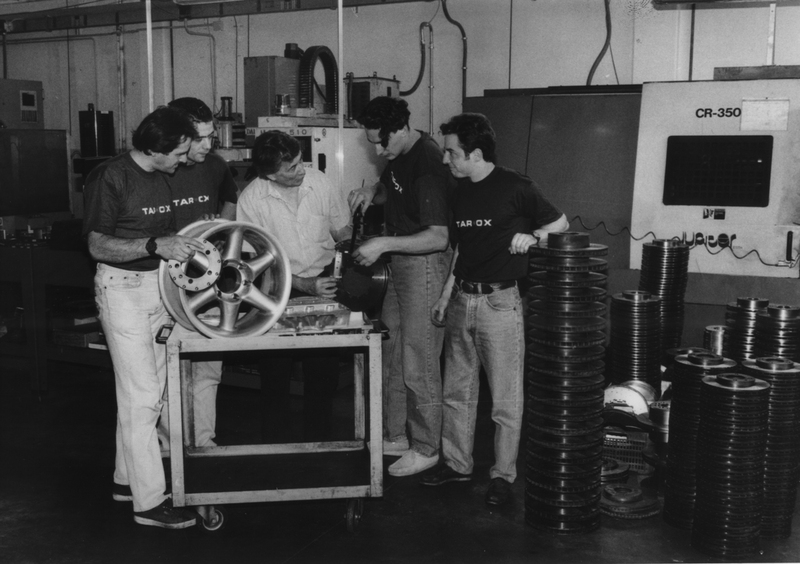 The Tarox story begins more than 40 years ago, in 1976, when Gianni Taroni founded the brand in pursuit of building the end-all of racing brakes. Decades of research and fervor, as well as experience as a professional racing driver himself, lead to the inception of a brand geared towards a new benchmark in stopping power. Gianni Taroni was onto something as well, as by 1980, just four years later, his brakes were fitted to the Ligier team Formula One car. "It was at Zolder," Gianni recalls. 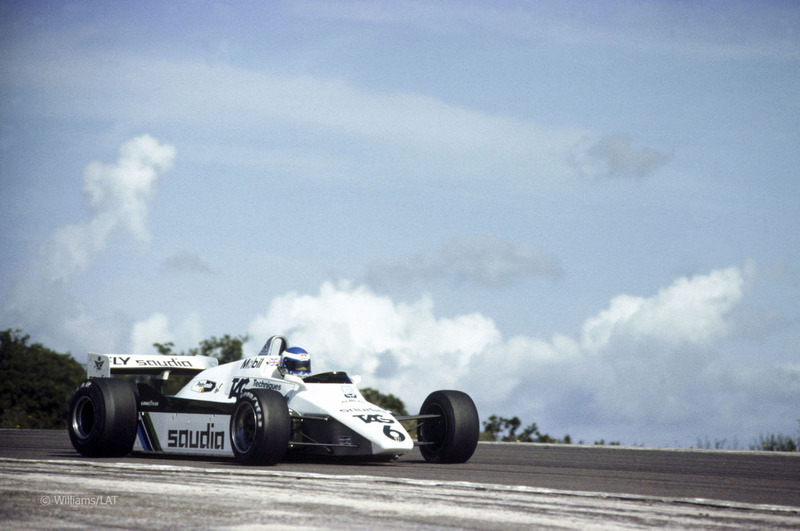 "That circuit was very demanding on brakes and Ligier’s driver, Didier Pironi,wanted to try my special anti-heat caliper pots. 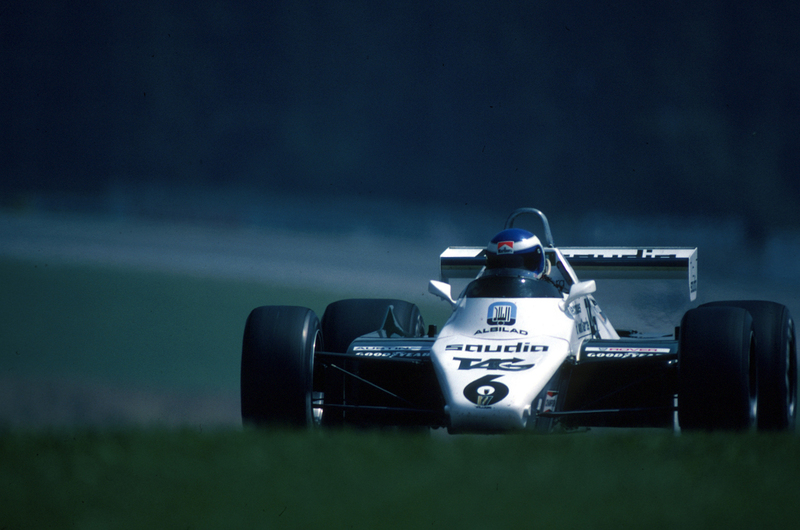 "As the history books show, Pironi piloted the car to a win, and the resulting victory was expectedly met with curiosity by the likes of Williams, McLaren, Alfa, Renault, Lotus, March, and more, all interested in running the same equipment. 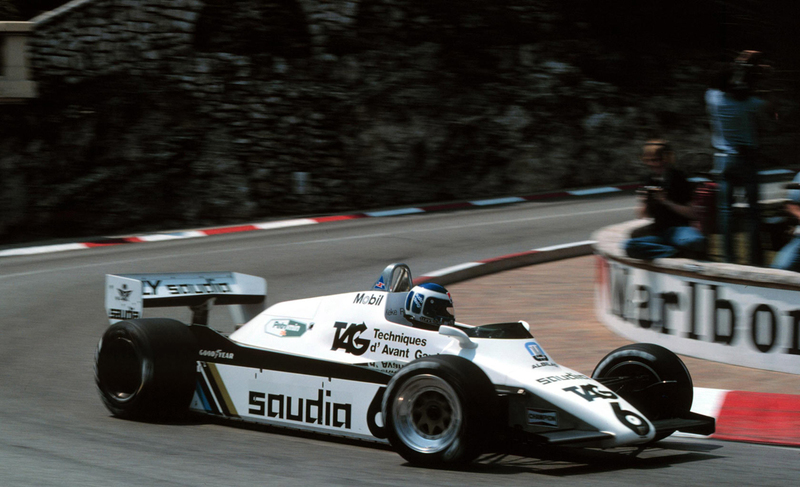 By 1982, Taroni's Tarox Brakes claimed the Formula One World Championship, fitted to Keke Rosberg’s Saudia-sponsored Williams FW08, setting a new standard for braking technology. 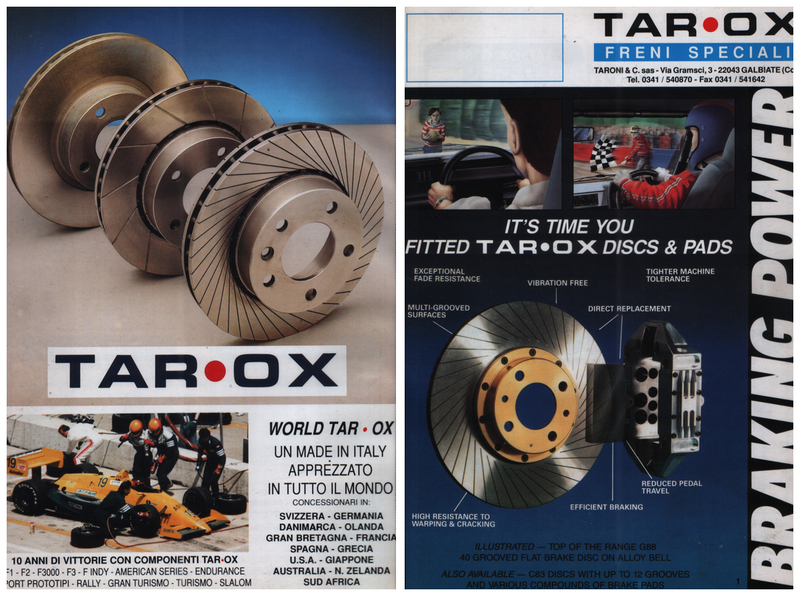 Taroni's innovation didn't stop there either: in 1983, Tarox offered the C83 rotor, the first slotted rotor on the market, which helped to dissipate the heat resulting from spirited braking. 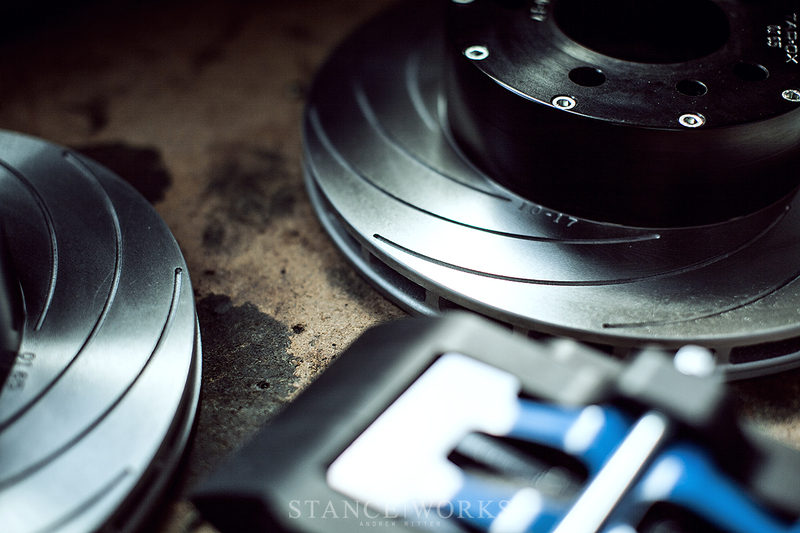 In 1990, the first consumer "big brake kit" was introduced: Tarox Kit 001 for the E30 M3. While racing brake upgrades existed, Tarox's real-world solution for world-class braking performance on a road car was the first of its kind. 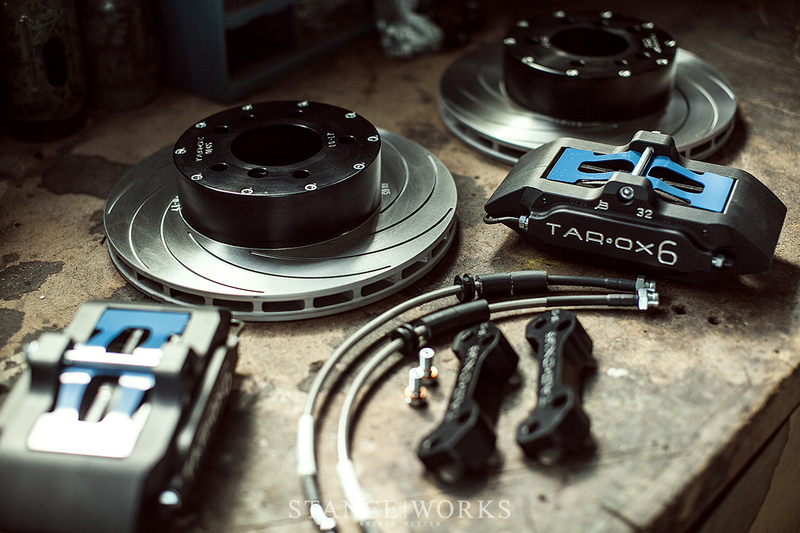 With such prestige, one might be surprised to find that, much like StanceWorks, Tarox is a company comprised of enthusiasts - men and women impassioned by building the best brakes in the world - and a only select few of them at that. 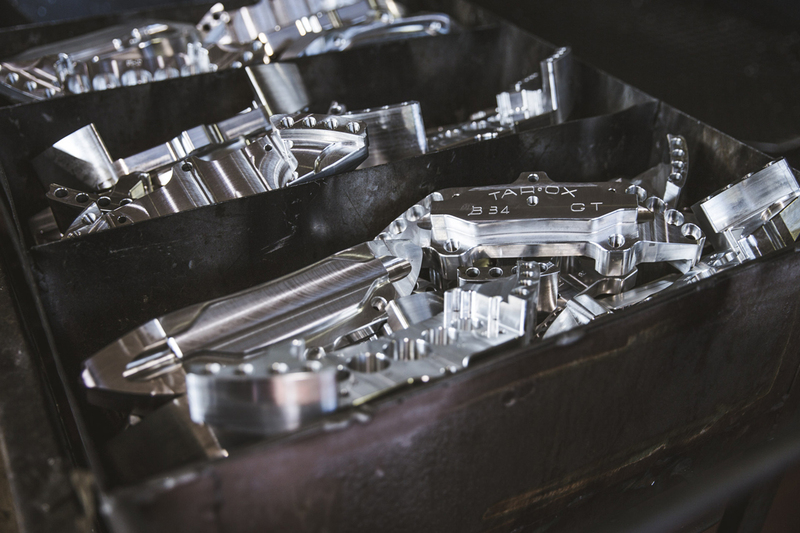 With just few dozen employees worldwide, Tarox has sought to preserve its roots as a small business, poised to move and grow with the ebb and flow of the high performance automotive industry. Where others have surged into faceless global conglomerates, Tarox retains its organic beginnings, giving them the opportunity to focus solely on an enthusiast market and its constantly changing demands. As a small, focused brand, Tarox is able to balance its race bred technology with enthusiast needs, and in ways many others can't. With more than 4,000 applications for road cars, and more than 20 racing caliper variants, they're not afraid to tackle the oddball projects. As part of their ethos, kits are tailored specifically to each vehicle, bypassing the "big box store" approach of merely matching calipers that fit to applicable brackets. As a result, unique applications, such as my own E28 "Parts Car" are available, along with countless others. 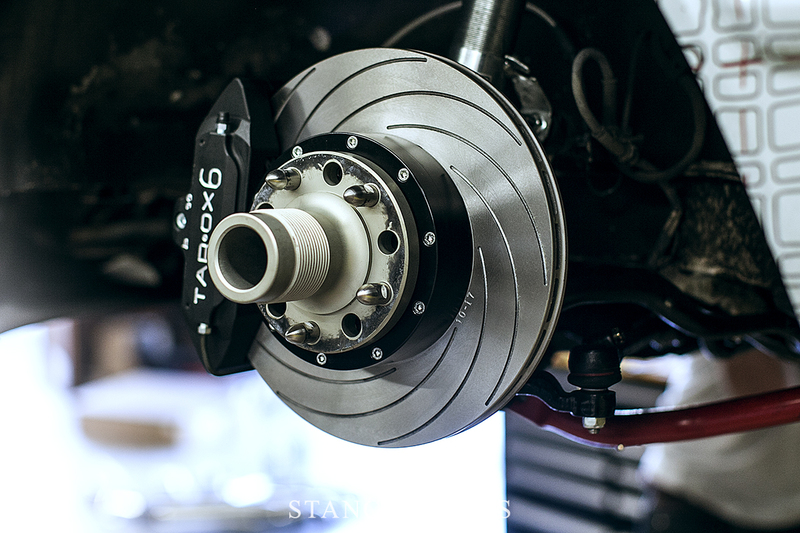 Capabilities such as creating boutique applications, like Matt Crooke's 16"-wheel-friendly Porsche 911 big brake kit, is where the company shines. Dedication to customers and continuity means parts for their earliest kits are still supported, too. In the name of quality and control, Tarox has preserved their manufacturing process since day one. While capabilities have evolved, the hand-assemled production process still proudly begins in, remains in, and ends in the Tarox facility. 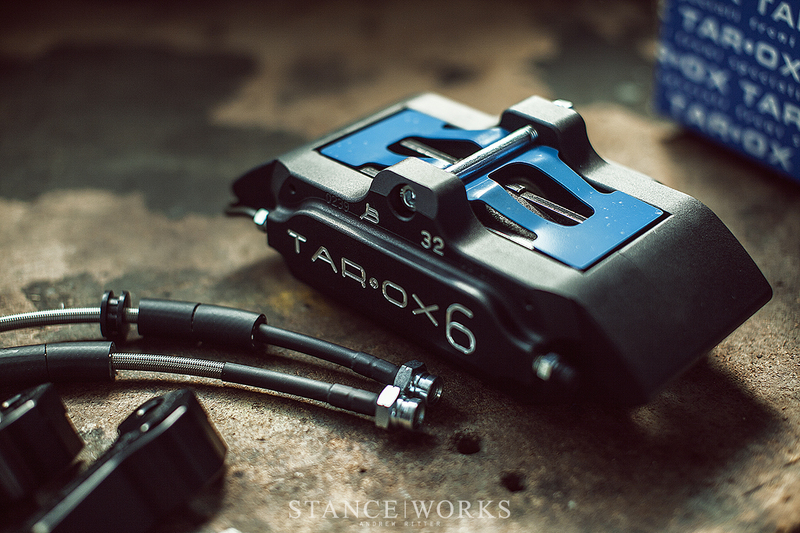 With that, they offer no "budget" parts or cheaper alternatives - all Tarox kits are built to the same grade, for which Tarox has built their legacy upon. In the automotive world, only a handful of companies can claim heritage like the greats: BBS, Momo, Pirelli, H&R, and Recaro, to name a few. Tarox finds themselves in a unique position, rich with heritage, expertise, and prowess, while making a concerted effort to remain true to the business Gianni Taroni sought to build 40 years ago. 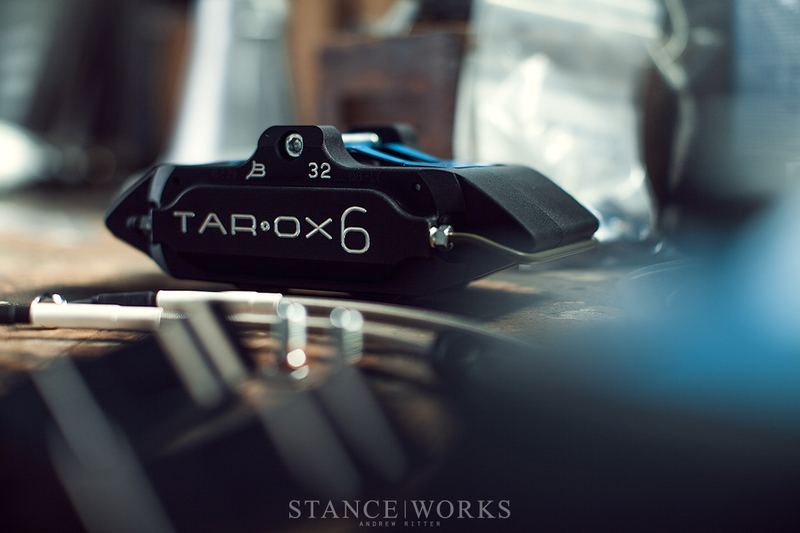 Quality, authenticity, a passion for motorsports, and of course, enthusiasm towards people like us are ideals of the brand, and that's why we're thrilled to bring Tarox in as a part of the StanceWorks family.